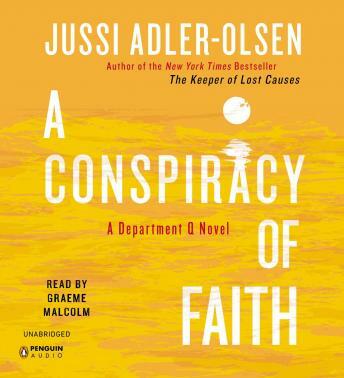 Detective Carl Mørck and his colleagues Assad and Rose must use all of their resources to uncover the horrifying truth in this heart-pounding Nordic thriller from the #1 international bestselling author Jussi Adler-Olsen. Carl Mørck holds in his hands a bottle that contains old and decayed message, written in blood. It is a cry for help from two young brothers, tied and bound in a boathouse by the sea. Could it be real? Who are these boys, and why weren’t they reported missing? Could they possibly still be alive? The book was ok! The reason I picked this book was because I couldn't find his other book I was looking for! "Kvinnan I rummet" don't know what it is in English!!! It is suppose to be GREAT! Can you PLEASE add it to your list,thanks! I like to read the books by Jussi Adler-Olsen. He is such a great author and has a nice style. I liked the first book of the department Q novels most.